The retail industry covered up the largest part of the business circle, as the services they have provided is essential to the society’s consumption, such as food and clothing. Without the retailers, the world would have struggled to get the necessities and lived like cavemen. With the world’s progression, it became a convenient place to live in. 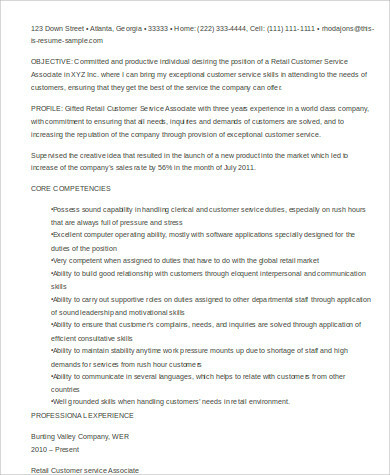 Being a part of the retail industry, especially as a worker, is no easy feat. It takes up so much of your energy as you are exercising your social skills and technical skills (they all do involve with machines such as cash registers) your energy is being stretched to its furthest. 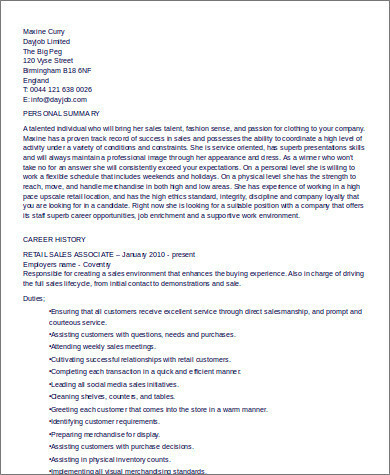 So, if you are someone who has the skills mentioned above or you want an extra job, but easy to apply, then being part of the retail team is for you. However, you need to work on some requirements to proceed such as Sample Resumes, government-issued paperwork, medical health certification (fit to work). 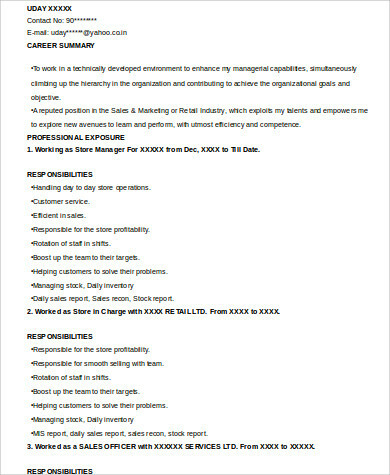 People who operate the store branches. Responsible for marketing the company. 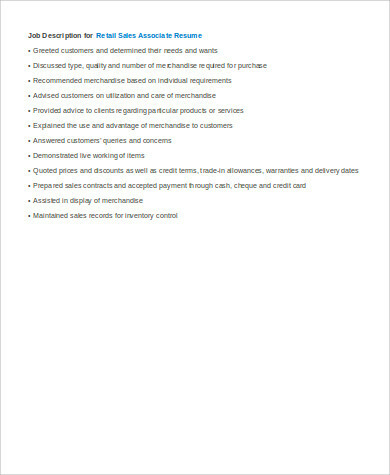 Responsible for organizing and inventory of the items and services. 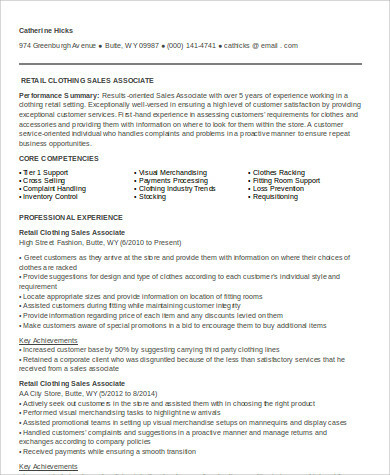 Responsible for the hiring process and any employee-related concerns. Responsible for the financial inventory. The one who works on the back-end systems. If you find the industry interesting and you want to be a part of it, then you can apply any of these roles. 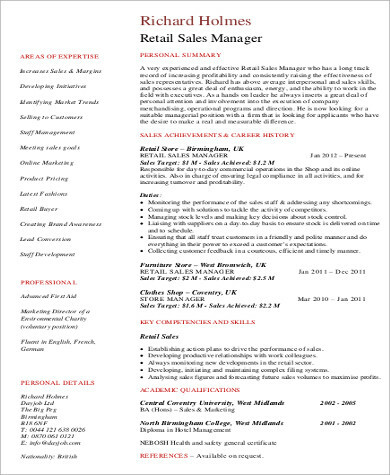 If you want resume ideas, you can check out these sample resumes we have provided. This includes your name, birth date, birthplace, current address, your parents and guardian’s short info. 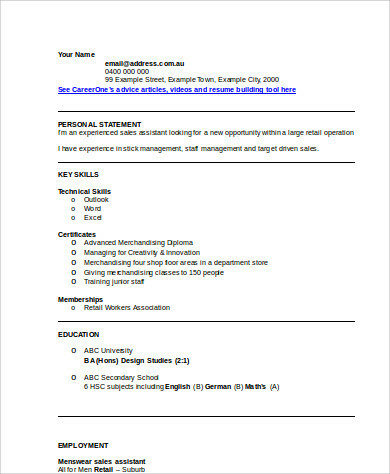 It is important that you update your work experience as this will reflect on your status as an employee. 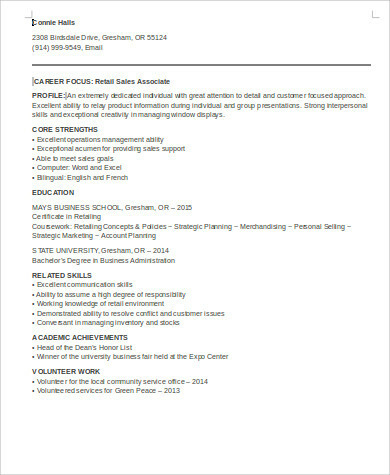 It is very important that you highlight this part of your resume as this will be checked by the recruiter and this is where they will base whether you actually fit for the applied role. It is also advisable that you focus on the skills that are relevant to the position applied. This may not be so significant, but this will count as additional points. At some point, this achievement will give you higher chances of being hired or perhaps be assigned on a more higher job position. 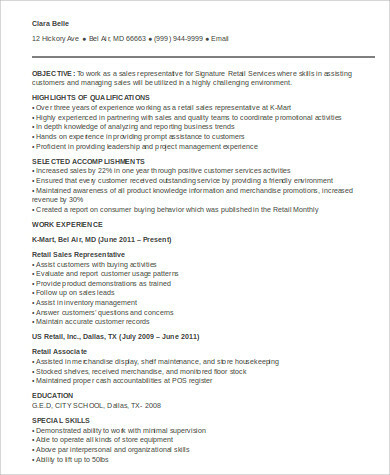 If you are on the verge of applying a job on retail shop, I suggest you try checking out Sample Retail Resumes for your next draft.